Named WAVI Xtion , the new gadget from ASUS is a kinect clone but this time for PC , it will uses the same PrimeSense technology that Microsoft uses in Kinect. The WAVI Xtion will target multimedia applications other than games , may be to be compatible with Microsoft Windows Media Center , built-in wireless . WAVI Xtion will have its own application development ,for that Asus says that that they will be offering authors of applications and the ability to sell the apps in an online store named Xtion store,Development software is set to be released in February. 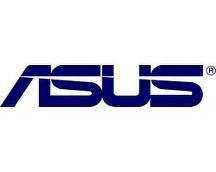 ASUS will show its WAVI Xtion in CES after few days , and the release date is set for Q2 2011 , the price is still unknown but we guess that it will be at the rage of 150-200$ if it use same technology of kinect. The latest news said that Microsoft sill deny to use its Kinect in Windows environment , and the hakers works still and continue :D.